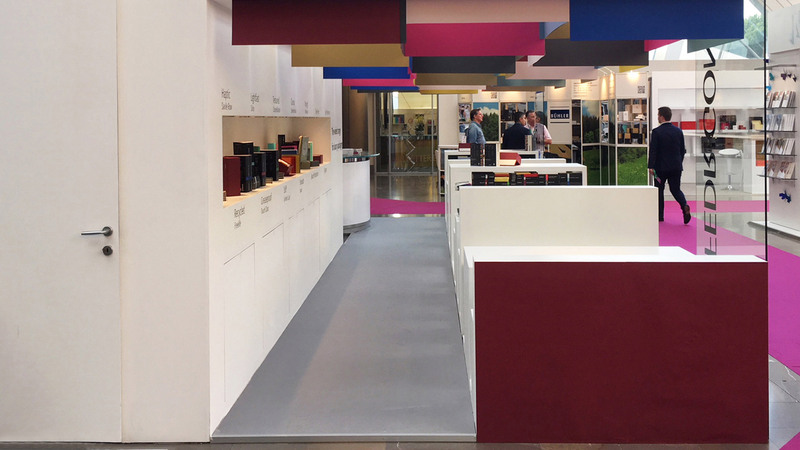 Luxe Pack in Monaco is a not-to-be-missed trade show for creative packaging professionals and at the Fedrigoni stand visitors were invited to immerse themselves into the world of the Italian group’s luxury papers. 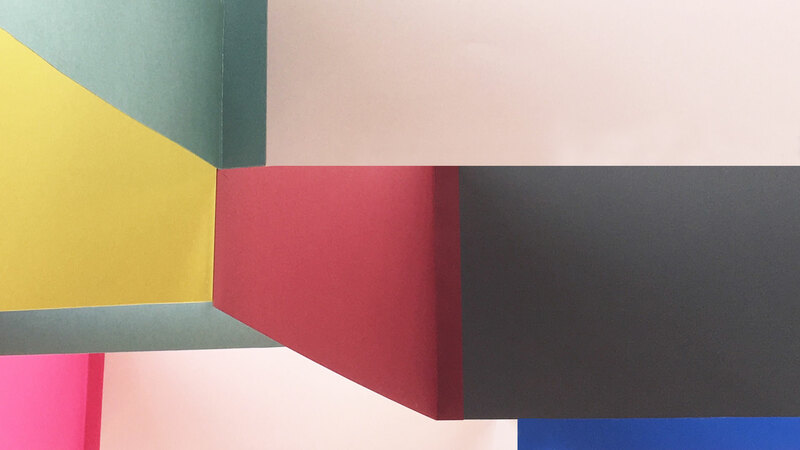 Like a Tetris of different colours and shapes, paper was hanging from the ceiling as well as covering large areas of the stand’s furniture – the result: a playful juxtaposition of white and colour, calm and joy. 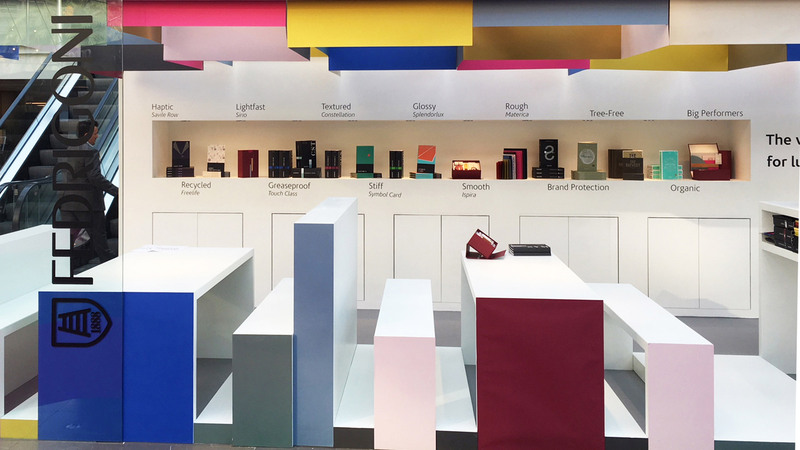 Fedrigoni Group is one of Europe’s largest and most established special paper enterprises. 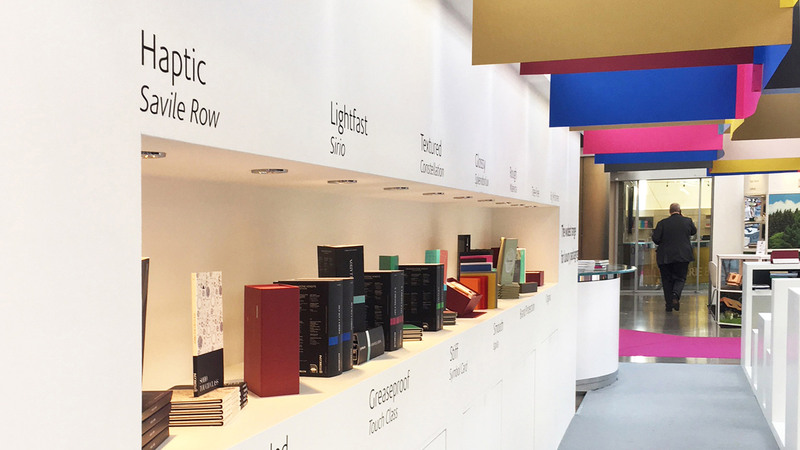 With approximately 2,000 members of staff, the Group manufactures and distributes a wide range of fine quality, technically advanced paper and paper-related products. 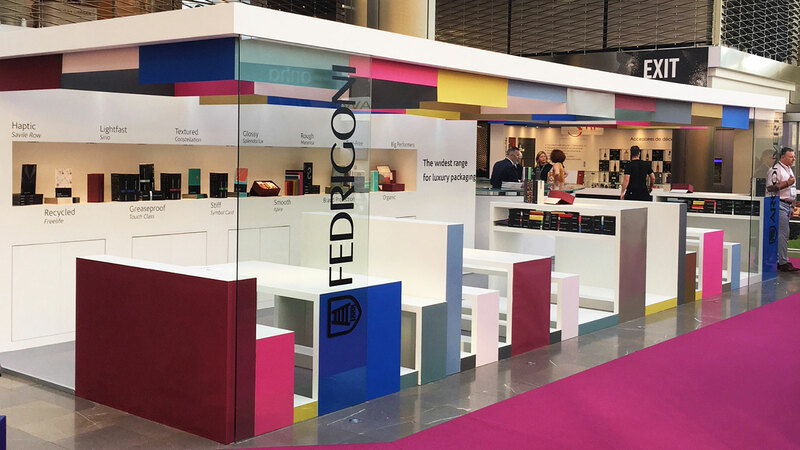 Through a network of distribution partners, Fedrigoni Group delivers to customers in more than 100 countries. Giuseppe Fedrigoni founded his first paper mill in 1717 and the business has been in the family ever since, becoming properly industrial in 1888. Now in its fifth generation of family ownership, the Group continues to take the long-term view of the future. Fedrigoni Cartiere is a specialist paper company targeting the communication graphics and converting industries. Since its foundation in 1888, Fedrigoni has specialised in fine paper for printing, editing, labels, bookbinding, packaging and paper products. 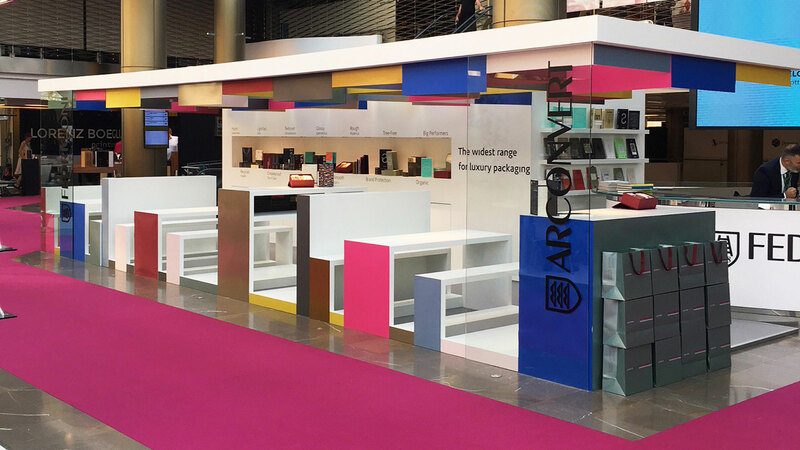 While this remains very much at the heart of the business, the company continually creates new paper processes and technologies that satisfy the ever changing aesthetic and technical demands of the market.